Our Laminate cabinet doors are made with 3/4" thick MDF core and North American made laminate that meets or exceeds NEMA standards for wear resistant and impact testing. The core is machined to desired profile [from 1/8" radius to 180 degree]. The laminate can then be postformed on 2 sides to achieve your desired profile or left square. Then it is cut to your desired height for door size. We offer various edgebanding for the no-postformed ends of the door; from .5mm thickness to 3mm thick, in a variety of colors. All laminate doors need to be quoted on as they have a square foot cost, plus cut and tape along with off cut charges. We also offer 2 high gloss collections. The Acrylic High Gloss is only available in the Square Edge Slab at this time. A wide variety in edge treatments are available including the 3D Dolken edging. Greenlam Coastline Collection features a bold, durable embossed finish laminate, and is in stock. 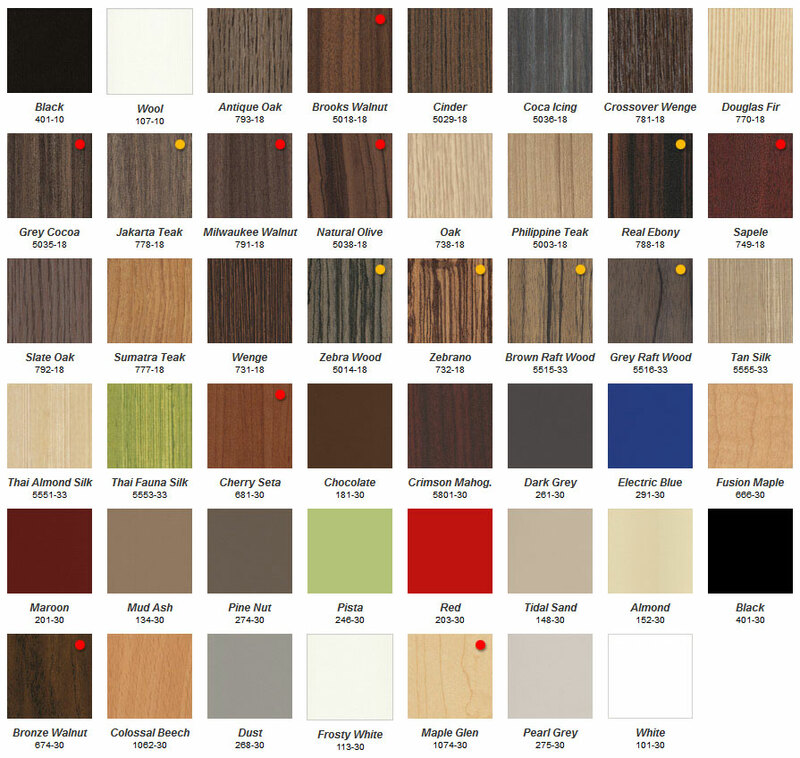 These eco-friendly laminates and engineered veneers come in a variety of solids, patterns, and wood grains. Industrial grade particle board cores (PBC) and "Green" No Added Urea Formaldehyde (NAUF) substrates from Boise Cascade, Collins, and Roseburg are used. Visual confirmation of color is recommended. 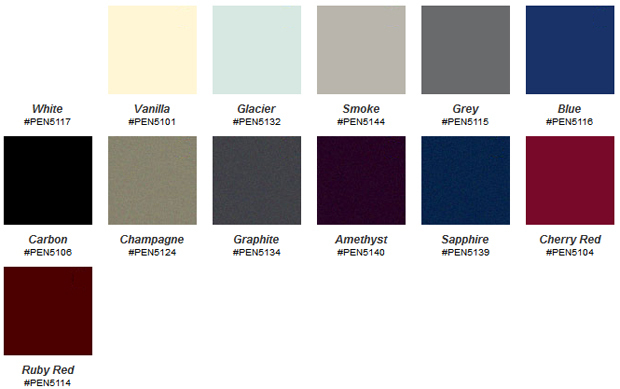 Stylelite is a gloss acrylic laminate that rivals gloss paint surface. Coupled with Pentco's exclusive PUR technology you can achieve the ultimate glass-like surface. Stylelite Acrylic doors are only available in square slab profiles. Cherry Red, Carbon, White and Grey are always in stock. All other colors please allow an additional 2 weeks for production. Habitat Queue High Gloss laminate doors use Pentco's exclusive PUR Line process which means there will be minimal telegraphing and a smooth finish. These can be ordered in any of the 4 profiles, 90°, 180°, SquareLINE, or Square Slab. 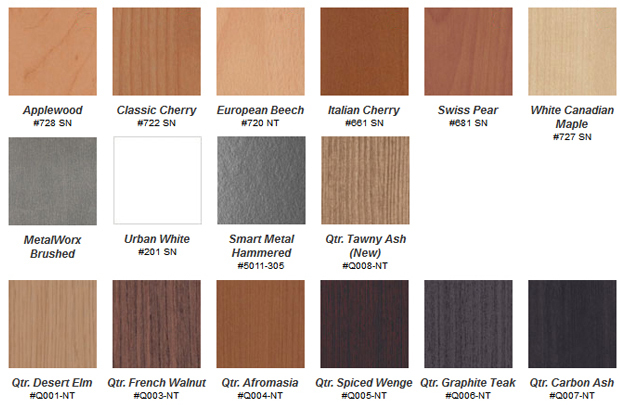 Engineered Veneer also known as Reconstituted Veneer is a man-made product using fiber from the poplar and obichi trees from sustainably managed forests. The beauty of the "New Age" or "Reconstituted Veneer" is it's outstanding color and grain consistency from sheet to sheet. 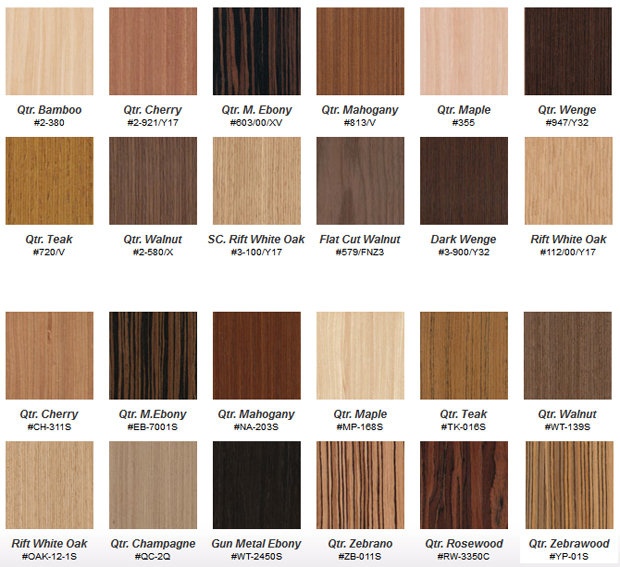 Making it a popular choice with designers and architects where grain and color consistency is critical. 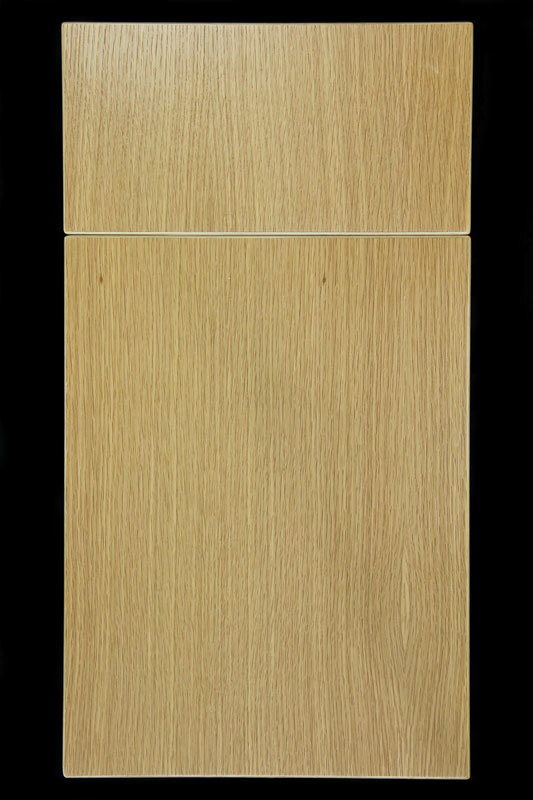 Real Wood Veneer Doors are available in any real wood species (some are special order). Stock species include Maple, Red Oak, White Oak, Cherry, Walnut, Alder and Mahogany, which are pressed onto a 3/4" MDF Board and can be post-formed into Euro-Curve (1/4" Radius), 90* (3/8" Radius) or Square. They can be edged using a standard matching edgetape, 2mm or 3mm matching edgetape and can be finished the same way you would a wood door.